The form label design improves labeling and enhances efficiency by integrating multiple tasks into a single, simplified process. 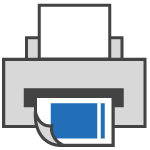 By combining a laser sheet with liner and glue to create a die cut label, a form label eliminates duplicate printing functions, additional work processes and potential matching errors. 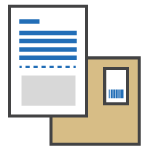 The combination of shipping label and packing list saves you time and money by eliminating the need to manually match the form and label - reducing the amount of supplies required and decreasing the potential for error. Simply print, label and ship! If this sounds like something you are interested in or need, request a quote today. Chicago Tag & Label custom manufactures label forms for our clients. This allows us to specifically fit your particular software layout print drop, company logo and desired copy - not to mention your unique branding and adhesive application requirements. This turns your custom label forms into tools that increase efficiency as well as amplify branding for your business. Many sectors can benefit from the custom label form combination and how it improves operations. In the e-commerce/fulfillment industry, this combination facilitates a more effective shipping process by integrating the packing list with the shipping label in one printed piece, for example. It simplifies quality control for your team and increases order accuracy. 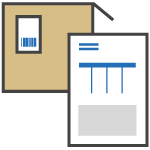 In warehouse distribution, the label and form combination can streamline packing and shipping. Information is more readily available for workers to identify what's on a pallet and it's easier to keep similar types of products in the same general area, as they're labeled correctly. In retail, too, where service is paramount, it can improve how clients get orders out to customers. 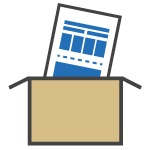 You can combine packing lists with invoices, shipping and/or return labels and more, making returns easier. The bottom line is, in any situation where you want to make labeling more efficient and convenient, the custom label form combination is the solution.